Artificial sweeteners are everywhere, but the jury is still out on whether these chemicals are harmless. Also called non-nutritive sweeteners, these can be synthetic – such as saccharin and aspartame – or naturally derived, such as steviol, which comes from the Stevia plant. To date, the U.S. Food and Drug Administration has approved six types of artificial and two types of natural non-nutritive sweeteners for use in food. That's been great news for those working hard to curb their sugar consumption. Aspartame, for example, is found in more than 6,000 foods worldwide, and about 5,000-5,500 tons are consumed every year in the United States alone. 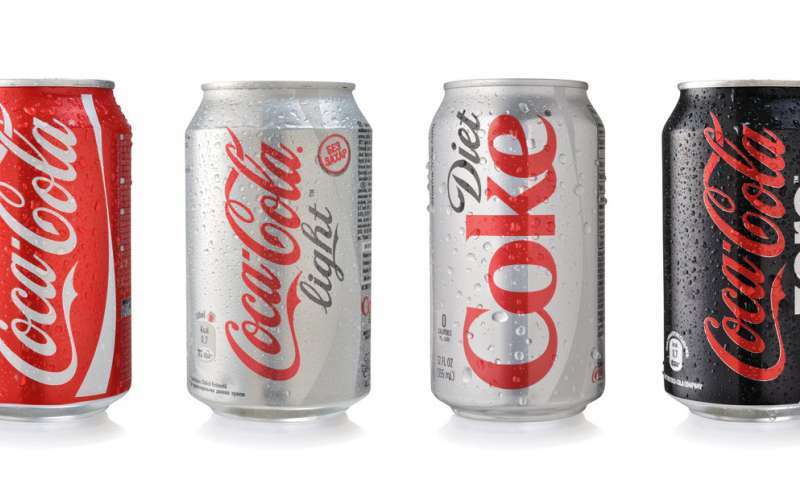 The American Diabetes Association – the most well-respected professional group focusing on diabetes – officially recommends diet soda as an alternative to sugar-sweetened beverages. To date, seven U.S. municipalities have imposed a sugary beverage tax to discourage consumption. Non-nutritive sweeteners have different byproducts that are not converted into calories. Aspartame, for example, undergoes a different metabolic process that doesn't yield simple sugars. Others such as saccharin and sucralose are not broken down at all, but instead are absorbed directly into the bloodstream and excreted in the urine. 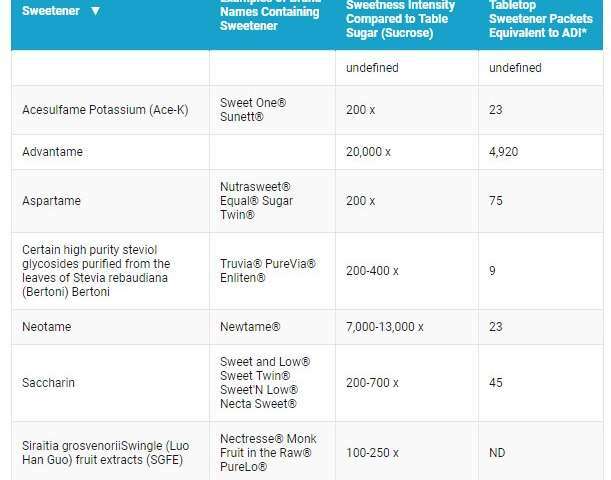 Theoretically, these sweeteners should be a "better" choice than sugar for diabetics. Glucose stimulates release of insulin, a hormone that regulates blood sugar levels. Type 2 diabetes occurs when the body no longer responds as well to insulin as it should, leading to higher levels of glucose in the blood that damages the nerves, kidneys, blood vessels and heart. Since non-nutritive sweeteners aren't actually sugar, they should sidestep this problem. Long-term use of these sweeteners has been associated with a higher risk of Type 2 diabetes. Sweeteners, such as saccharin, have been shown to change the type and function of the gut microbiome, the community of microorganisms that live in the intestine. Aspartame decreases the activity of a gut enzyme that is normally protective against Type 2 diabetes. Furthermore, this response may be exacerbated by the "mismatch" between the body perceiving something as tasting sweet and the expected associated calories. The greater the discrepancy between the sweetness and actual caloric content, the greater the metabolic dysregulation. Another study revealed that longer-term and higher diet soda consumption are linked to lower activity in the brain's "caudate head," a region that mediates the reward pathway and is necessary for generating a feeling of satisfaction. Researchers have hypothesized that this decreased activity could lead a diet soda drinker to compensate for the lack of pleasure they now derive from the food by increasing their consumption of all foods, not just soda. Together these cellular and brain studies may explain why people who consume sweeteners still have a higher risk of obesity than individuals who don't consume these products. As this debate on the pros and cons of these sugar substitutes rages on, we must view these behavioral studies with a grain of salt (or sugar) because many diet soda drinkers – or any health-conscious individual who consumes zero-calorie sweeteners – already has the risk factors for obesity, diabetes, hypertension or heart disease. Those who are already overweight or obese may turn toward low-calorie drinks, making it look as though the diet sodas are causing their weight gain. These findings signal that consumers and health practitioners all need to check our assumptions about the health benefits of these products. Sweeteners are everywhere, from beverages to salad dressing, from cookies to yogurt, and we must recognize that there is no guarantee that these chemicals won't increase the burden of metabolic diseases in the future. 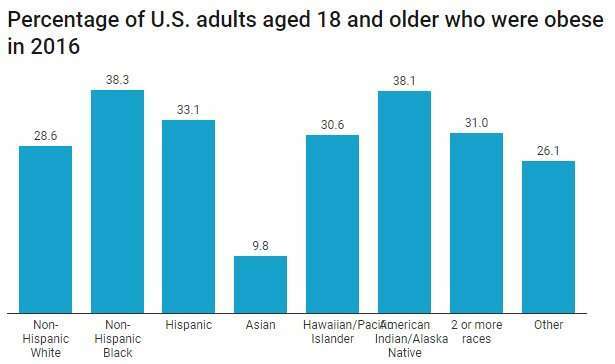 Legislators considering soda taxes to encourage better dietary habits perhaps should think about including foods with non-nutritive sweeteners. Of course, there is an argument to be made for being realistic and pursuing the lesser of two evils. But even if the negative consequences of sugar substitutes doesn't sway our tax policy – for now – at least the medical community should be honest with the public about what they stand to lose or gain, consuming these foods. Should you replace sugar with artificial sweeteners?